Local Rotarians and friends flaunted their most elegant tuxedos and gowns and sipped on martinis — shaken, not stirred— last weekend at the Rotary Club of Ponte Vedra Beach’s James Bond-themed Mineral City Celebration. Ponte Vedra Beach residents Gary and Nancy Chartrand are among the First Coast’s leading philanthropists. As executive chairman of Acosta, Gary Chartrand oversees a company that employs more than 35,000 associates in 100 offices. He has been the pivotal force behind quadrupling the company's geographic coverage, transforming Acosta into a leading full-service sales and marketing company in the United States and Canada. For his efforts, Chartrand received the Ernst & Young Entrepreneur of the Year Award for the State of Florida in May 2001, and was recognized as one of the 50 most powerful leaders in the grocery industry by Supermarket News from 2003 to 2009. Hawaiian shirts, flip flops and parrot hats were the order of the day last weekend when the Rotary Club of Ponte Vedra Beach brought a bit of Jimmy Buffett to the First Coast with its annual Mineral City Celebration. Love beads, tie-dye shirts, go-go boots, miniskirts….An explosion of color and psychedelic vibes graced the grounds of the Ponte Vedra Concert Hall for the Rotary Club of Ponte Vedra’s Mineral City Celebration event on April 16. 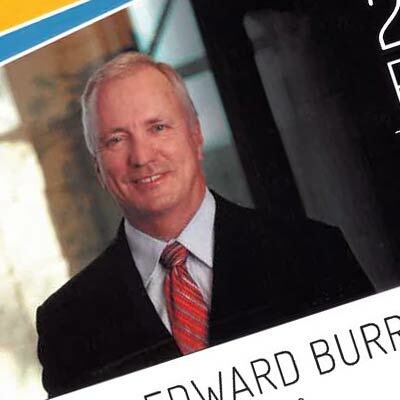 Ed Burr is president and chief executive officer of GreenPointe Holdings, LLC, a diversified holding company that brings together the necessary disciplines to create sustainable, high-value communities throughout the Southeastern United States. Burr is widely considered a leader in the real estate industry for his ability to analyze real estate potential and to lead companies that create unparalleled communities known for their recreational, residential, and commercial value. Donald F. Blackburn literally personifies the Rotary motto of “Service above Self.” We honor him tonight because for some 40 years he has given back to his communities…with a smile. We are actively seeking sponsors for this great event, contact us and Get Involved. The Ponte Vedra Beach Rotary Foundation is a not-for-profit, 501(c)(3) organization.